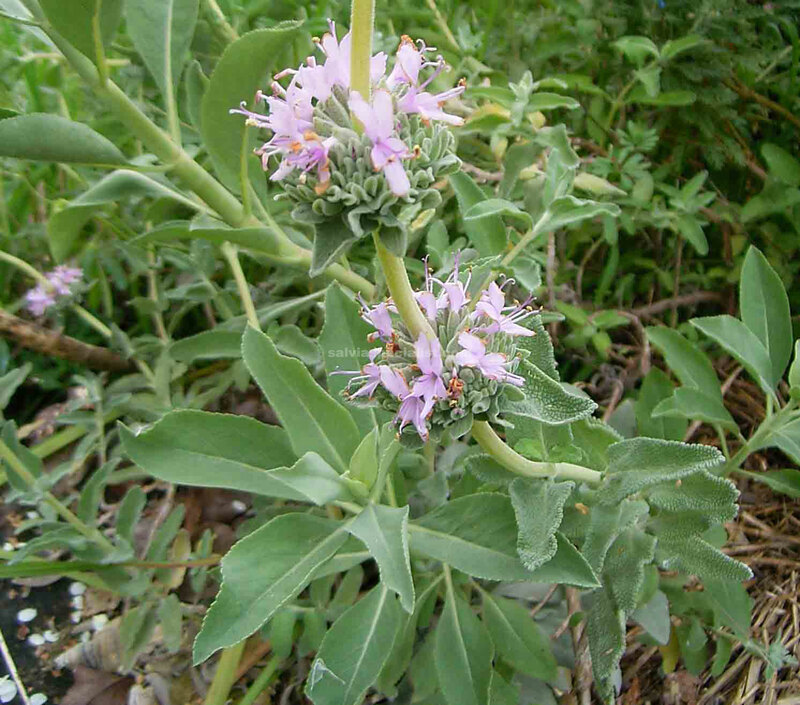 Leucophylla is a Californian native shrub and shares similarities with some of the other Californians. They are generally drought and cold hardy plants and fairly easy to get along with except for clevelandii. Sometimes we expect more from them than perhaps is normal, maybe clevelandii is not meant to live more than a couple of years. Being drought hardy they will not like wet feet. Leucophylla however is longer lasting and an asset to a dryish garden with its nice grey evergreen foliage and whorls of pinkish mauve flowers in summer. It can reach 2m but could be happy to stay smaller if pruned or in hard conditions. The foliage will be greener with water. The Californians often cross pollinate which has given rise to a number of interesting varieties, most of which haven’t reached Australia. However, only about 2012 ‘Bee’s Bliss’ became available and hopefully will do well here in dryish climates. 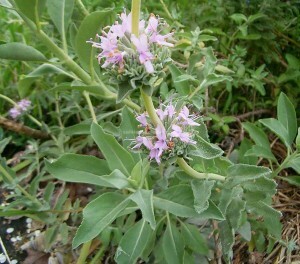 It has a spreading habit and can cover a few metres while being less than a metre high. Leucophylla is one of the parents along with clevelandii and sonomensis. ‘Celestial Blue’ has similar parentage but is an upright shrub to 2m and is widely available in Australia among enthusiasts anyway! It is imported.